Leave it to Instagram to inspire your next dramatic dye job. In case you are looking for fun dye jobs to try for the sunny season, we have something that you’d for sure double tap. 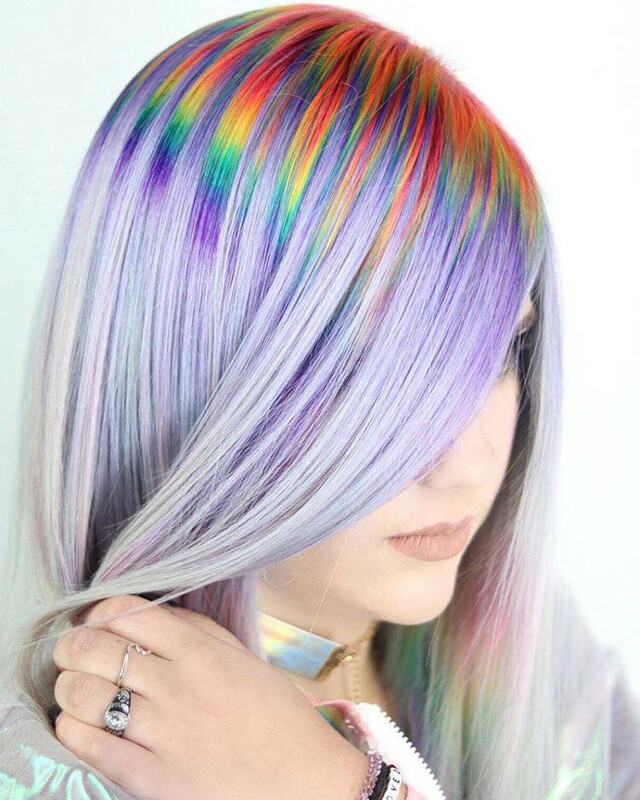 The prism roots hair is one of the newest rainbow-inspired hair trends for all the gals who don’t want to go all in. 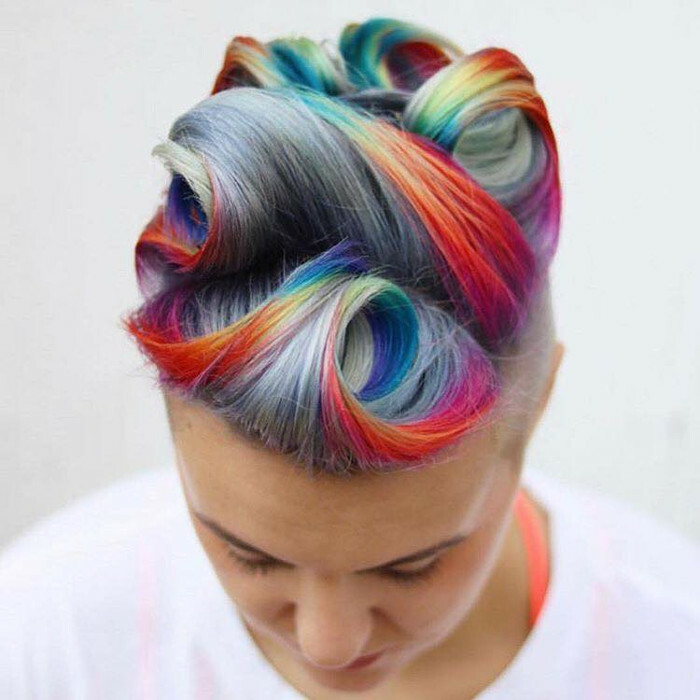 A head full of multicolored rainbow-hued strands might seem overwhelming to many. This is where the prism roots step in to brighten up your life without being too loud. 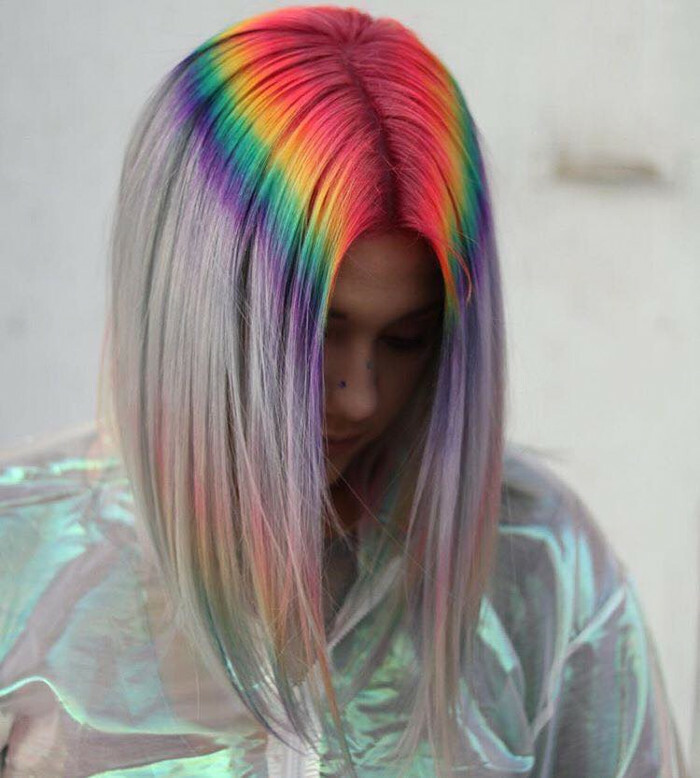 There are countless of summer-ready hair trends on Instagram, but we couldn’t overlook how gorgeous is the prism dye job. 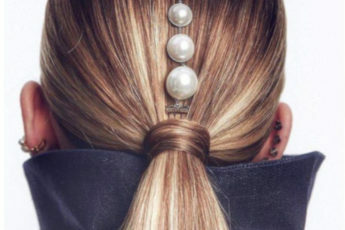 The St. Louis-based hairstylist Kristina Cheeseman is responsible for this new trend. 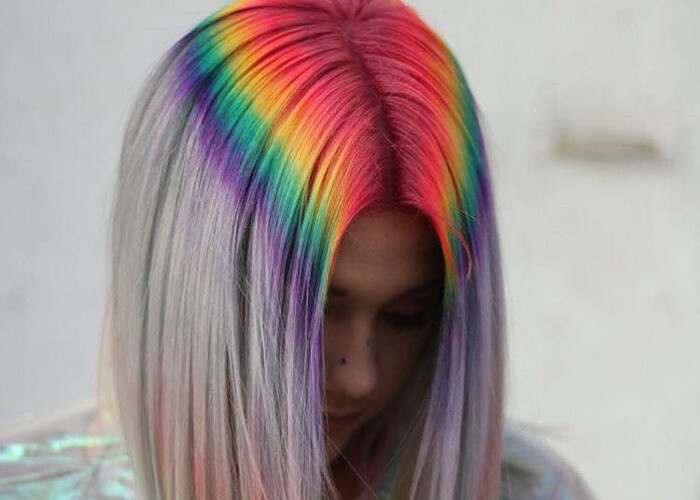 Judging by her Instagram she knows countless of techniques for dyeing hair in the colors of the rainbow. 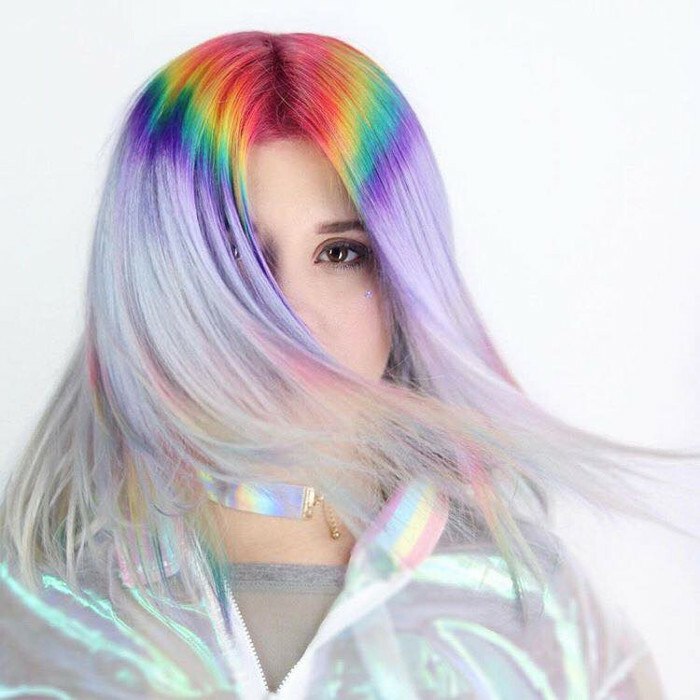 The prism roots is a creation that came naturally after her client gave her freedom to do whatever she wants with her hair. 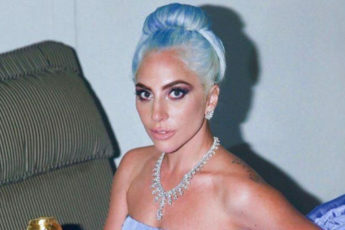 The hairstylist started off by bleaching her hair to a platinum blonde. Next, she had to focus on the roots. Although she didn’t color all of her client’s hair, the prism roots dye job was still not easy to achieve. Kristina made a horseshoe-shaped parting on the top and colored it in silver. According to Cheeseman, this was the “veil” of the rainbow. Next, she placed neon colors horizontally on the bottom sections of her client’s hair. The process took “only” 3 hours just because her client’s hair was previously pre-lightened on her ends. According to Cheeseman, if she had to do this as well, the process would have lasted twice as long. 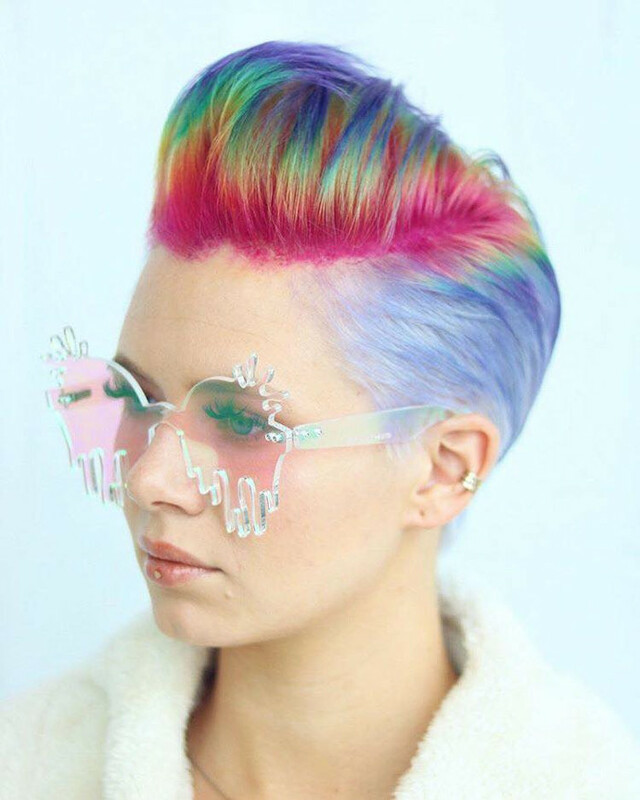 The neon-hued rainbow roots hair is sure not an effortless dye job. Anyway, one of the biggest advantages of this vibrant trend is that it looks very different on different hairstyles. With only one dye job you can trick everyone around you that you have a fresh new color every time you style your hair in a different way. Not to mention that your Instagram account will get an instant upgrade from the moment you get prism roots. 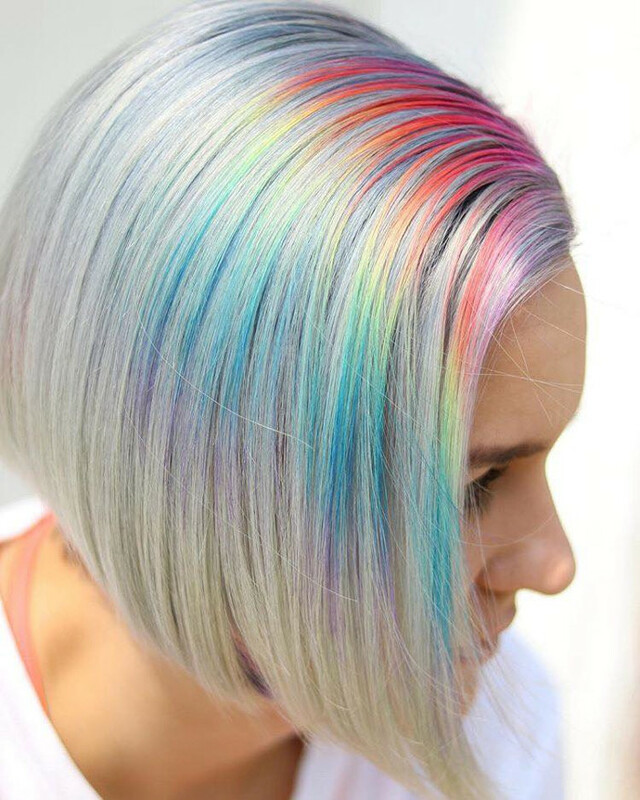 Kristina Cheeseman has done quite a few prism dye jobs. Judging by her Instagram, you can fully customize the way you want your hair to look. This is perfect for those who can’t decide which hair color to get. This dye job includes multiple vivid shades and elevates all your hairstyles to another level.